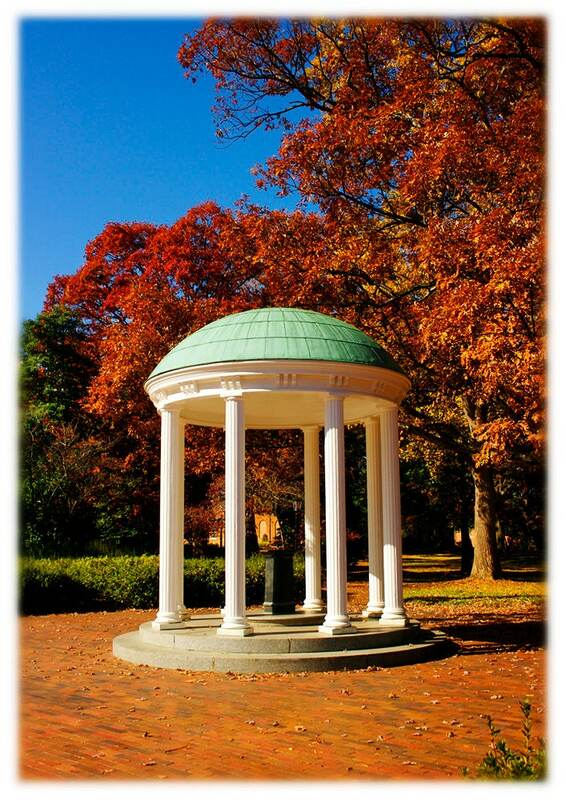 Dramatic fall foliage surrounds the Old Well, the University of North Carolina at Chapel Hill's most recognizable landmark. Originally the sole water supply for neighboring dormitories, the well was given its present decorative form in 1897. Campus legend suggests that a student who drinks from the Old Well on the first day of classes will receive good luck for the school year. 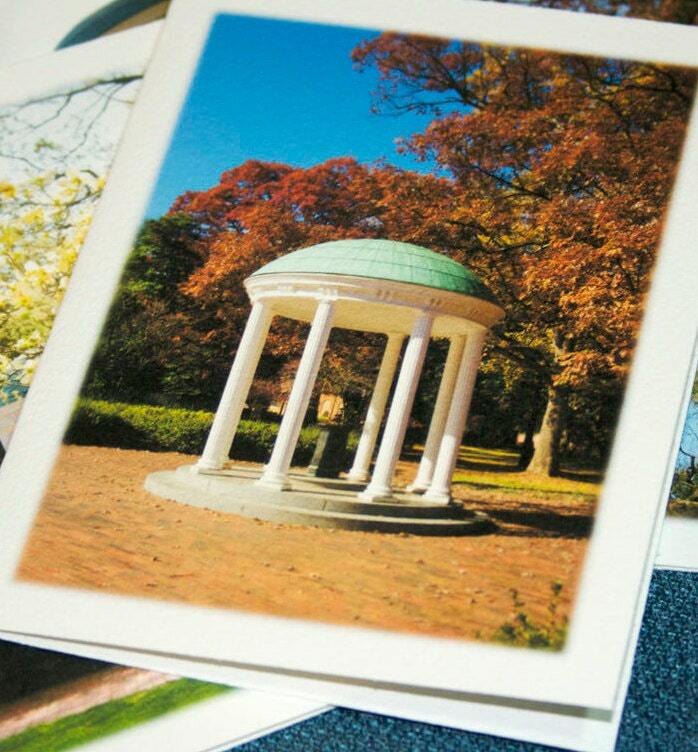 This photograph is an Officially Licensed Collegiate Product, offered with the approval of the University of North Carolina at Chapel Hill. A portion of the sale price is contributed to the general scholarship fund of the university.